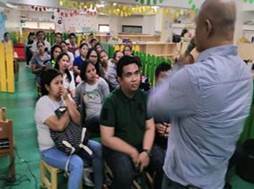 Cambridge staff attended an Active Shooter seminar conducted by Esoliman Integrated Security Services last March 25, 2019, at Cambridge Salcedo site. Said seminar was attended by the Cambridge School directresses, teachers, teacher aides, and security, guards from different Cambridge sites metro-wide. The seminar set out to teach survival techniques during an active shooter situation, as well as how to respond in order to protect the students and staff within the vicinity. Cambridge staff were also made familiar with the emergency hotlines to contact for assistance. 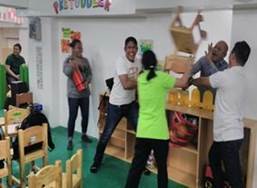 To apply what was taught, Esoliman conducted an active shooter simulation to give Cambridge staff the opportunity to practice the proper protocol in a quick and alert manner. Throughout the seminar, the 3 practices to be done were repeated and emphasized multiple times. 3. FIGHT only as a last resort.